Fashion designer who created the ready-to-wear clothing and accessories labels Elie Tahari and Theory. 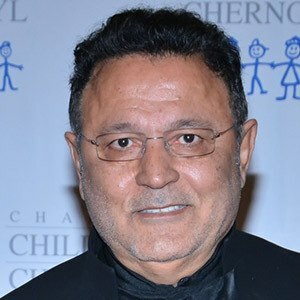 He has received several prestigious industry honors, including the Ellis Island Medal of Honor and the Brand Vision Award from Fashion Group International. He spent his early years living between Israel and Iran. He eventually moved to New York City, where he worked as an electrician in the Garment District. He was a guest judge on Project Runway All Stars. He has children named Jeremy and Zoe. He was previously married to Rory Green. His clothes have become favorites of public figures like Queen Rania of Jordan .